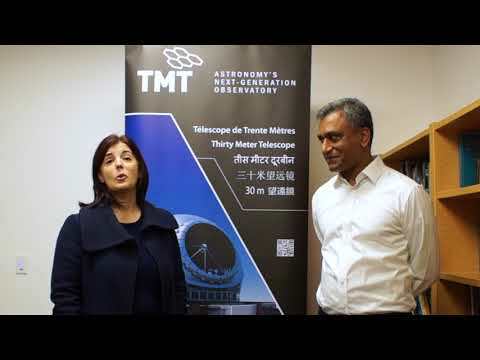 The search for Earth-like planets, the nature and distribution of dark matter, and the quest to image the first stars and galaxies are just some of the science challenges that will be addressed by the Thirty Meter Telescope (TMT). TMT On the Air with Are We Alone? The Thirty Meter Telescope (TMT) is partnering with the SETI Institute's radio/podcast program Are We Alone? by underwriting a series of astronomy-related segments during the year. Learn more and listen on our Podcasts page. To ensure that the site chosen for TMT would enable the telescope to achieve its full potential, a global satellite survey was conducted, from which five outstanding candidate sites were chosen for further ground-based studies of atmospheric stability, wind patterns, temperature variation, and other meteorological characteristics that would affect the performance of the telescope. 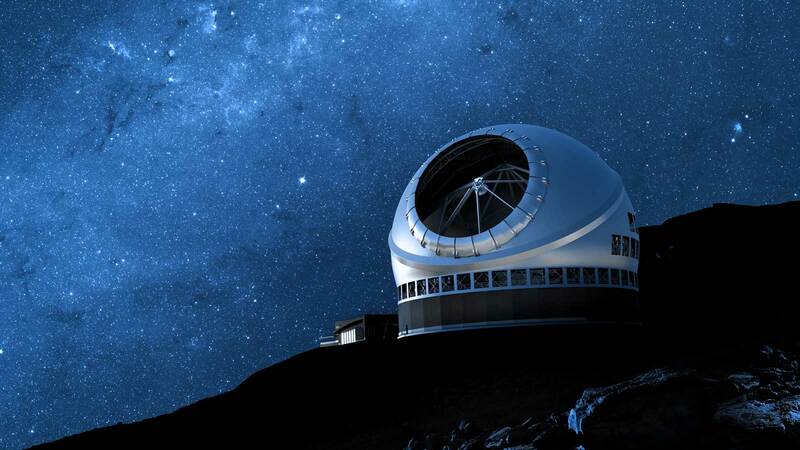 The Draft Environmental Impact Statement (Draft EIS) for the proposed $1.2 billion Thirty Meter Telescope Project (TMT) will appear Saturday, May 23 in the Office of Environmental Quality Control’s (OEQC) Environmental Notice. The draft document details the environmental, community, economic, and cultural impacts of locating TMT on Maunakea*. In the world of scientific research, bigger is often better. This is especially true for astronomy, where giant telescopes are the essential tools for studying the faintest whispers of cosmic energy. The Thirty Meter Telescope project (TMT) presented a $31,000 grant to Waiakea High School to support the school’s acclaimed Hawaii Project for Robotics Education. TMT representative Sandra Dawson presented the check to Waiakea teacher Dale Olive at a ceremony on Monday, April 6. The Thirty Meter Telescope (TMT) marked a major milestone on its way to becoming the world’s most advanced and capable optical telescope. A key part of the telescope’s adaptive optics (AO) system, which will give TMT the sharpest eye possible on the Universe, was successfully tested and is ready to become actual hardware.